The brightly colored band of patterning on the cuffs of Nancy Bush’s “Amish Stockings and Socks to Knit” delights the eye. The socks were based on the handknitted Amish socks and stockings from the Lancaster County area of Pennsylvania. 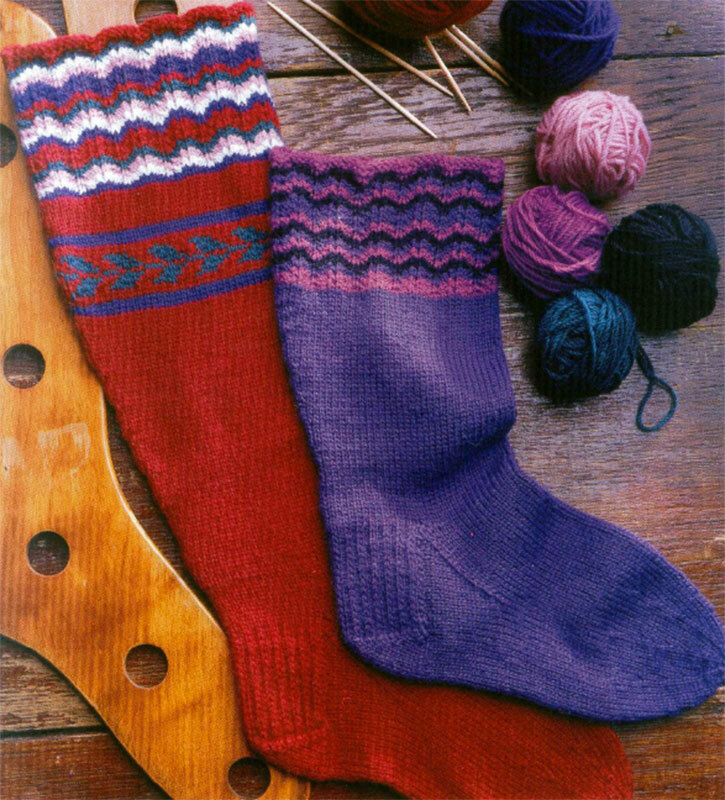 Like the Amish socks that inspired them, Nancy Bush’s interpretation are knitted in the round and shaped for a good fit. A band of vivid cuff patterning against rich warm colors are characteristic of Pennsylvania Amish women’s socks. These socks, echoing the colors, shape, and patterning of two pairs of vintage stockings, are knitted in the round in warm sportweight wool yarn. Photo by Joe Coca. In the companion article, “A Glimpse of Color: Amish Wedding Stockings of the Nineteenth Century,” contributor Galer Britton Barnes explains how nineteenth-century Amish women came by such vibrantly colored yarns for their socks and stockings. 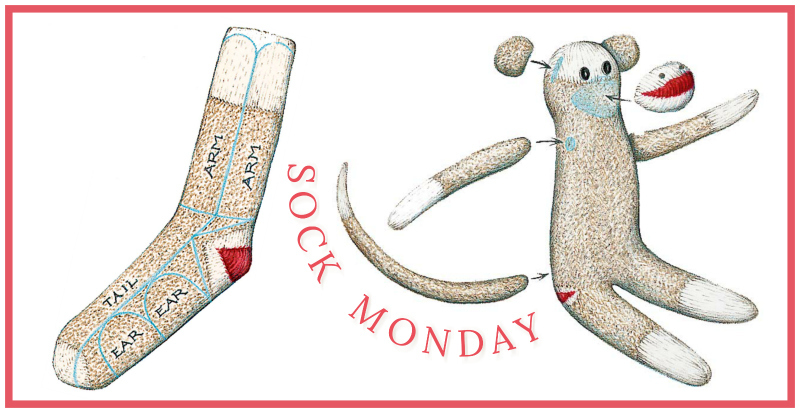 Discover more historically inspired socks in PieceWork!